Since we did P90X, we have been on this rotation of 3 lunches – tuna salad, turkey avocado salad, or a turkey avocado sandwich. When we were doing a lower volume of workouts, just having one of these things plus a piece of fruit was enough for me. However, now that I’m in higher volume training, I need more calories but I don’t want to add processed food and saturated fats to my diet to get there. For several of the past Sundays, I’ve been making a big batch of soup and then giving Mike and myself 1-2 cups of it to eat with our lunch, or as a large afternoon snack. I thought I’d share my two favorite soup recipes with you. 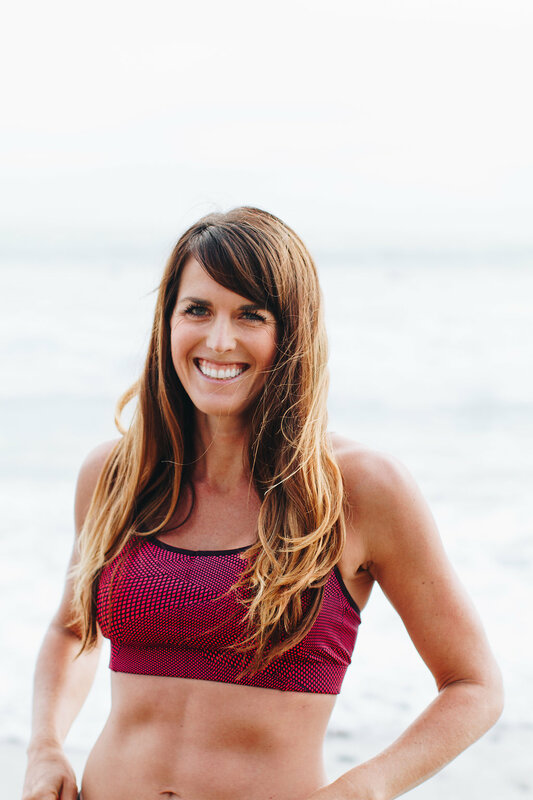 Both of these recipes are low-fat, contain lots of veggies and most importantly, are full of low glycemic, high fiber, carbohydrates to keep your energy level consistent throughout the day. They also contain plenty of vegetables which provide essential antioxidants and vitamins to keep you healthy. 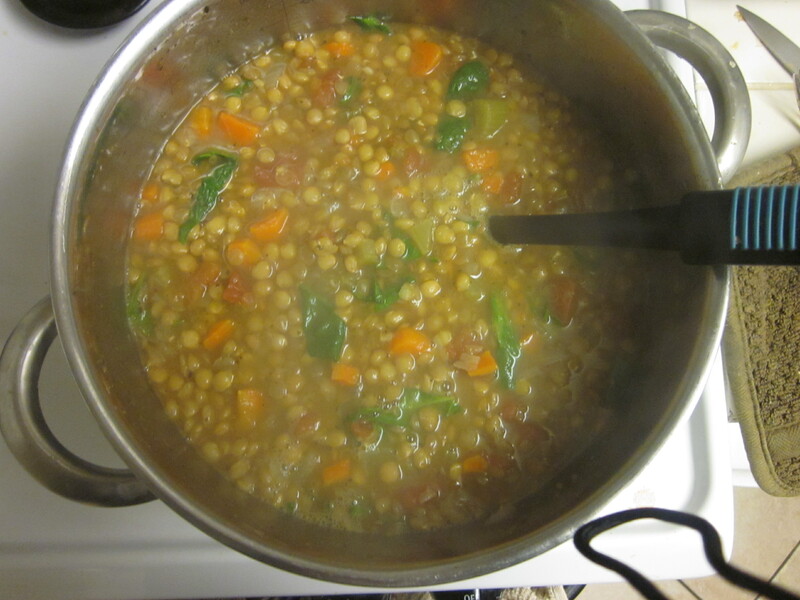 Lentils are a great food for athletes. Lentils are a great source of carbohydrates yet they are also very high in fiber, keeping you full longer and stabilizing blood sugar. Lentils are additionally a great source of Iron, Potassium and B Vitamins, all of which are essential for endurance athletes. Even better, lentils provide a significant amount of protein – they are the plant with the 3rd highest level of protein (26% of calories in lentils are from protein). I changed the recipe from All Recipes to include 1 tbsp of yellow curry powder to give it some extra flavor. In a large soup pot, heat oil over medium heat. Add onions, carrots, and celery; cook and stir until onion is tender. Stir in garlic, bay leaf, curry, oregano, and basil; cook for 2 minutes. I didn’t use bay leaf mostly because they don’t sell them at Trader Joe’s and I was too lazy to get it! So don’ t worry if you have to omit one ingredient. This soup is really good and really easy to make! It’s incredible how much the lentils expand as they cook. This recipe prepares enough soup for nearly a whole week! Every time I eat this chili I feel like I’m getting healthier. Every ingredient is full of nutrients and antioxidants. Black beans, in particular, are great for athletes. Just like lentils, black beans are full of fiber and low glycemic carbohydrates, providing a steady source of fuel to keep you full for longer. Black beans have antioxidant and anti-inflammatory properties which fight cardiovascular disease. Additionally, the contain zinc, manganese, vitamin B6 and Iron, all of which are beneficial to athletes. Both yams and red peppers are full of Vitamin C, which can aid in the removal of free radicals from the blood, thereby reducing your risk of cancer. Yams also contain a significant amount of potassium which is essential in regulating muscle and nerve activity. Yams are also broken down at a much slower rate than potatoes, leaving you full longer. In large skillet over medium high heat, heat the oil. Sauté garlic, onion, pepper and salt until vegetables are soft, 4-5 minutes. Meanwhile, microwave your sweet potato whole until it is soft (5-8 minutes) and then cut them into cubes. I added this step because I found that the sweet potatoes stay very hard if you just add them to the chili and I prefer them soft. Add the cumin and chili powder and stir to combine. Cook for another minute. Add the sweet potato and lime zest and cook for about 5 minutes (longer if you didn’t microwave the sweet potatoes). Add the tomatoes, black beans, cocoa powder, water and lime juice and bring to a boil. Reduce heat and cover – simmer for 10 minutes. This stew is very hearty on its own. If we eat it for dinner, oftentimes I’ll make some chicken to eat with it and even vegetables. However, you can eat it on its own or even pour it over rice. It’s not really a good stew for dipping bread since it is too thick. 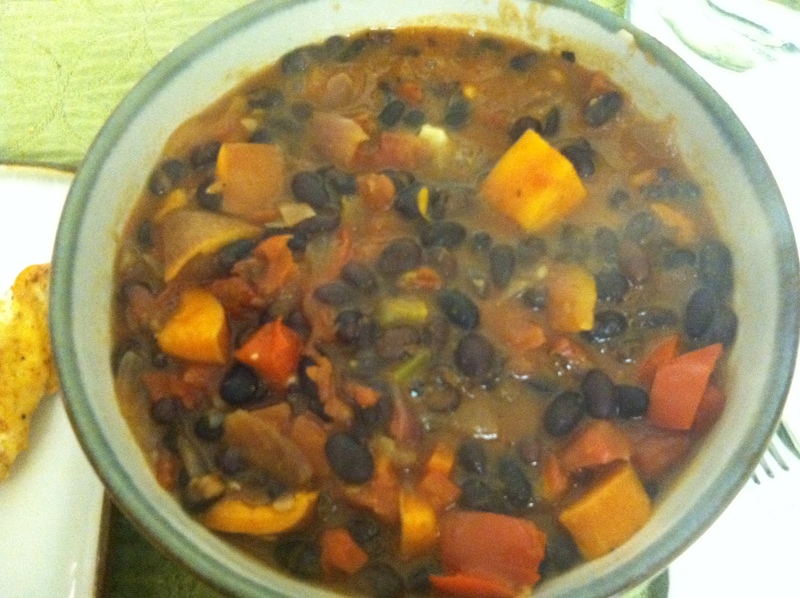 Another note – oftentimes I will add an extra 14 oz can of tomato, another small sweet potato, and an extra can of black beans to make even more stew so it will last longer. Do you have any tricks for getting enough quality food in during high volume training weeks? Any links to recipes to share? That chili looks delish! Thanks for sharing!